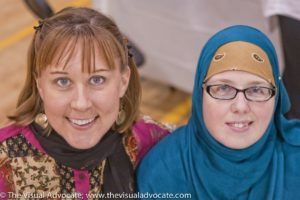 Perhaps you have been reading my blogs or have heard me speak on YouTube, at a mosque, church or synagogue. 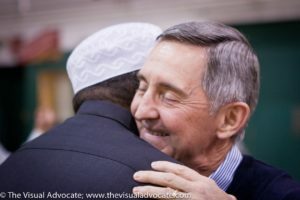 After you heard me speak or read my blogs you were inspired to become part of the peace and reconciliation movement to bring Muslims, Christians and other people of good will together in the United States and around the world. You are excited, but you are not sure what to do next. If this describes you and these questions are burning in your heart the PEACE PATH Reconciliation Model is for you. PEACE PATH is based on the successful model of peacemaking I developed over the last ten years in the United States. This model is time and field-tested and it works! This e-course will give you practical step-by-step instructions on how anyone can begin the journey of peace building in their own local communities. When you sign up for my PEACE PATH Model e-Course you will receive an email each week that will cover a dimension of the model. It is designed to be completed in bite size pieces over a period of several weeks. At the end of each email, you receive will be practical suggestions and resources that might be helpful in your journey as a peacemaker. Sign up today to be notified when the course is ready. I hope to have the e-course ready by late September or early October of 2017. Be on the look out! To go along with the course above, you can also join The Path Online Community. 1. Become good friends without an agenda or hook — This means we agree to take a journey together without any hidden agendas. Our only agenda is to love our neighbor and look for practical ways to serve and bless each other. 2. Eat together — Until our families are interacting and our children are playing together then we are just having a nice talk. We need to go beyond dialogue and become friends and eat in each other homes. 3. 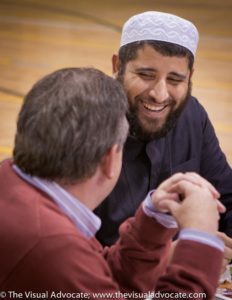 Explore faith together as friends — This means we can safely explore and share the similarities and differences of our faith and spiritual practice in a non-polemical way. The goal is to seek first to understand each other and to see each other as human beings. At this level, we are safe to ask each other the hard questions concerning our differences and also to find what we have in common together. Then we can begin to walk the Third Path together as spiritual friends. 4. 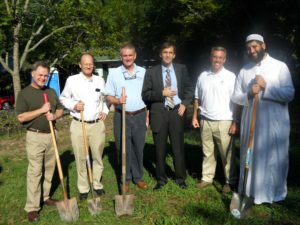 Work together locally for the public good by doing a service project. 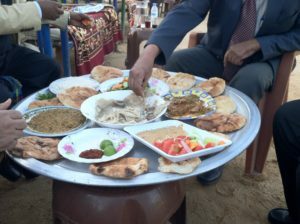 Once we are eating together, becoming good friends and exploring our faith commonality and differences as friends, then we can begin to work together on much needed humanitarian projects in our local communities. 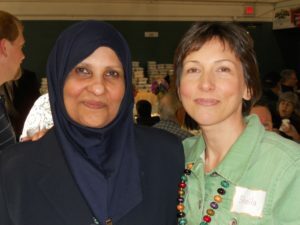 The Path community will focus on holistic peacemaking, reconciliation, and restorative justice between Muslims, Christians, and other people of good will. 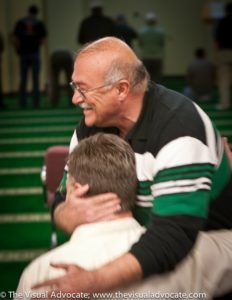 The core DNA of The Path community flows out of the Golden Rule: love your neighbor as yourself and treat other people the way you want to be treated. And if you find an enemy in your journey try to make them your friend. It will take some time to create the website for The Path but if you sign up I will send you updates and alerts on how things are progressing. Feel free to invite your friends and other people of peace to join The Path. Asalamu Alaikum (Peace Be Upon You), thank you for sharing your experience online, I have been looking at how many people argue with much ignorance (which not bliss). I have decided to search and find common grounds between Islam and Christianity with much focus on communication and common sense (not very common as you know). Email me as I would like to share a few things with you and have you, do you have a facebook page?